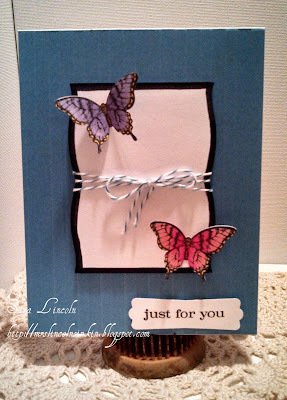 Today's card is a very simple card that i made using the Papillan Potourri Stamp set and matching Elegant Butterfly Punch. 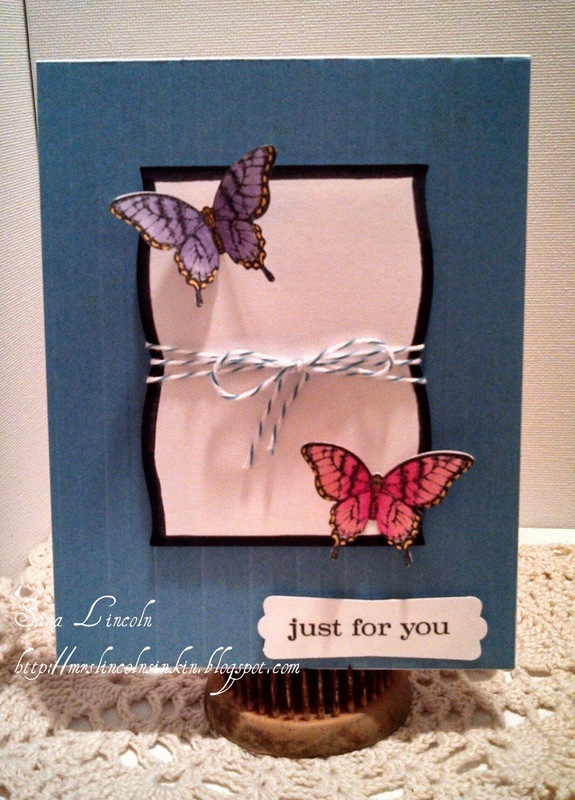 This stamp set and punch are just amazing. The punch actually punches out the image right up to the line. Meaning that you don't have that white ridge around your image. I used Copic markers to color my butterflies, i only used 2 colors to blend with instead of 3 (see list below for color numbers).